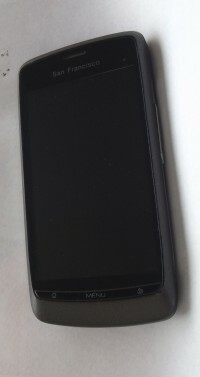 HTC had long manufactured smartphones and PDAs, but usually in someone else's name, such as a network's own brand or Dell or so forth (ZTE did this 2009-2012, and continues to). The HD2 was one of HTC's first releases under its own name and what a phone it was. With a powerful 1 GHz Qualcomm "Snapdragon" QSD8250, a beautiful 800x480 4.3 inch screen and solid, metal construction its specifications were right up there with the best of anything else on the market. It was saddled, however, with Windows Mobile 6.5 Professional. Windows Mobile 6.5 wasn't bad, but it wasn't good either. The new iPhones were greatly inferior and much more cheaply manufactured, but the OS was far ahead of Windows Mobile. Even Google's early Android phones ran better as phones than the HTC HD2 did, so hobbled was it by Windows Mobile. Its solid construction meant it was the platform of choice for businesses using it as a PDA, often with in-house developed apps. Demand for it remained strong even throughout 2012 as most businesses moved to Android, with a small minority jumping aboard the iOS ship. Rather than put up with their expensive and powerful gadgets beind crippled, enthusiasts ported Android to the HD2 in mid-2010. By early 2011 it was running Gingerbread with the best of them. HTC had inadvertently enabled this by using a very similar platform to the HD2 in the Google Nexus One and HTC Desire (the Desire was virtually identical, but for a smaller screen), meaning the OS could easily be ported over. It's telling that the HTC Desire was model number A8183 and A8182, while the HD2 was T8585 and T9193, very similar. Microsoft wanted a flagship Windows Phone 6.5 device, it got one. It's just how it happened that the HD2 is now best used on Android. Like the ZTE Blade on this page, a great platform hobbled by poor software had the latter fixed by the enthusiast community. 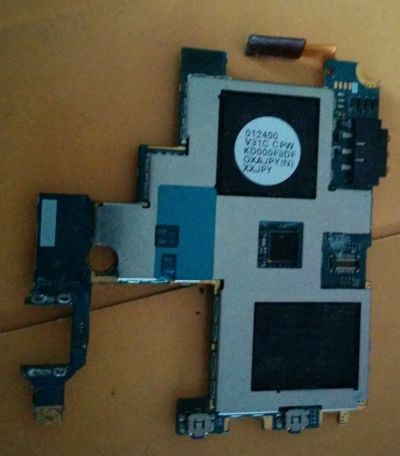 The two black chip packages seen in the top image are the Qualcomm PM7540 and RTR6285. The former is a power management IC, the latter a multi-band GSM/GPRS/EDGE/HSPA transciever, fabbed on 180nm CMOS. The silver shielded chip is a Samsung SWB-A23, a 2.4 GHz transciever for wifi and bluetooth, which comprises the Atheros AR6002 802.11b/g WiFi controller, and Qualcomm's 4025 Bluetooth adapters. 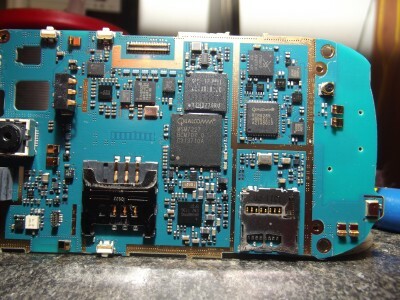 As Atheros is owned by Qualcomm, then this is simply a standard Qualcomm WLAN module, manufactured by Samsung. 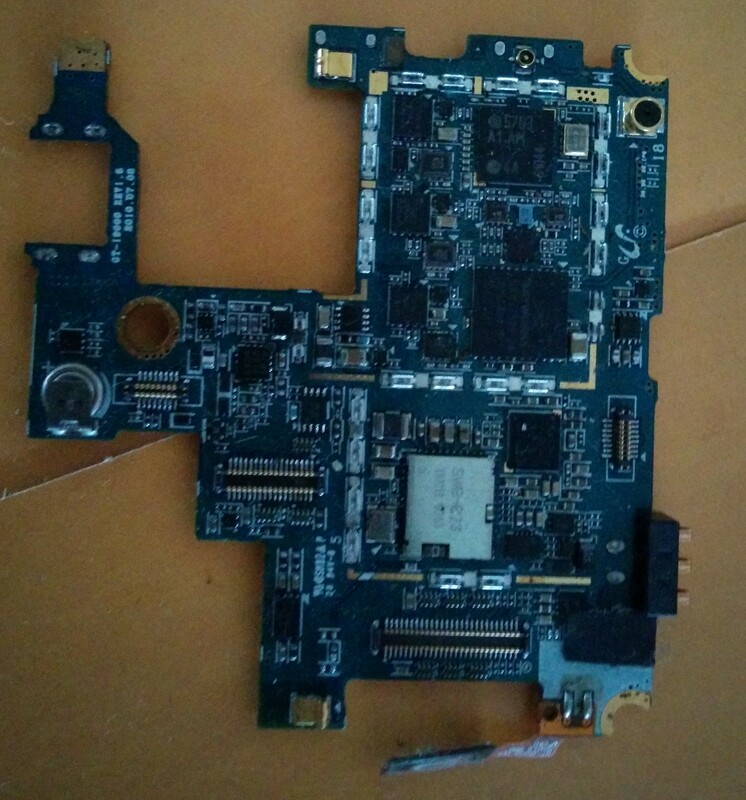 The reverse of the PCB contains Qualcomm's MSM7227 system-on-chip (SoC) which has the Blade's 600 MHz ARM11 CPU core and 512 MB of system RAM as well as the baseband processor. 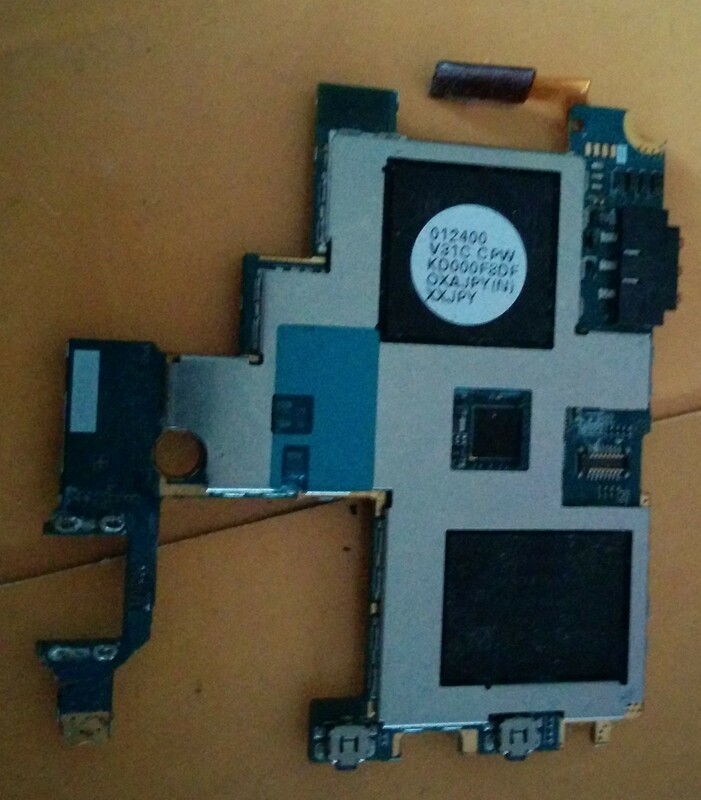 Nearby is a Hynix H8BESOUUOMCR flash RAM chip, again 512 MB. 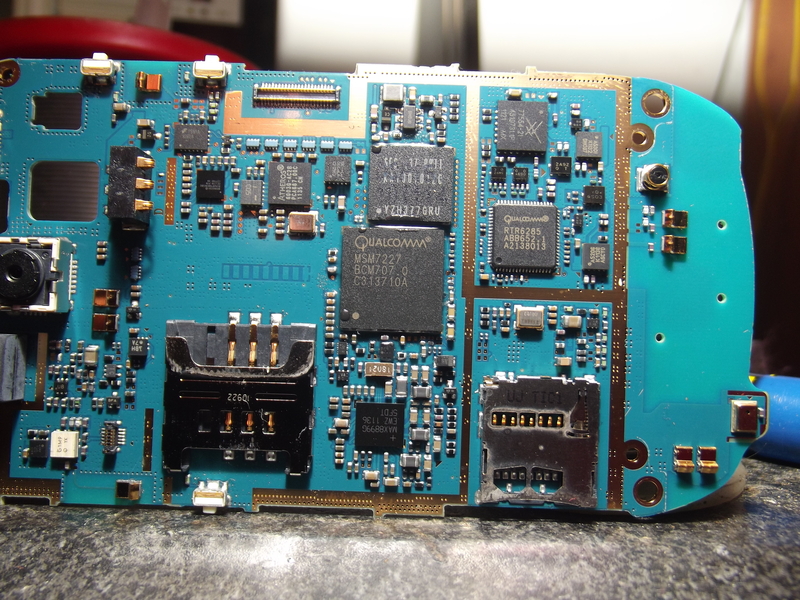 A TriQuint 7M5012H quad-band GSM/GPRS/EDGE/HSPA power amplifier completes the Blade's chippery. The CPU is only a 600 MHz ARM11, so no official Flash Player, but a recompile of Flash 10.3 did work on the ARMv6 instruction set. There's one right here, which is a hacked 10.3 flash "claiming" to be Flash 11. It will run BBC iPlayer with hardware acceleration just fine. There's an alternate version here should the first not work. Qualcomm's MSM7227 is the GSM version of the CDMA MSM7627 and phenomenally popular, and the processing performance of its ARM1136J-S core was impressive for the day, the 256 kB L2 cache onboard helps make this one of the fastest ARM11 devices on the market - but the Cortex A8 which came after was much, much faster. Qualcomm drops an Adreno 200 GPU in the mix, which again is pretty much bottom of the barrel, but will handle the UI and video playback capably. Most MSM7227s are good to about 720 MHz and this one is no different, stable at 712 and 729 MHz. 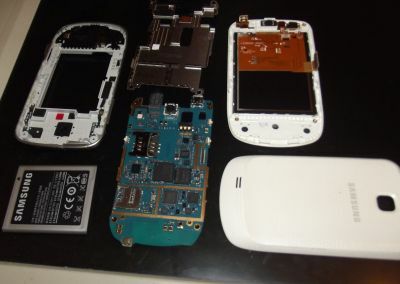 The MSM7227 is also used in the HTC Wildfire, Legend and Aria, Samsung Galaxy Ace, Samsung Galaxy Mini, Sony Ericsson's X10 Mini and Mini Pro, RIM's Blackberry Curve 8520 and many, many others. Other hardware includes a digital compass, 3 axis accelerometer and gyroscope, ambient light sensor, proximity sensor, a GPS reciever, and an easily replaceable 1250 mAh battery, which will provide in my experience all-day life with average use. Playing video not so much, at full screen brightness, you'll get about three hours of H.264 playback with the excellent MX Player. This is largely due to the high resolution screen. The total device is 116 mm high, 56.5 mm wide and 11.8 mm deep. For comparison, an iPhone 3GS (Apple's top end device when the Blade was released) is 116 x 62 x 12, has a much poorer display and the Blade has double the memory. The headset connector is wired according to industry standards: Tip-ring-ring-sleeve. Tip is left, first ring is right, second ring is microphone, sleeve is ground. Be careful here as Apple, in its lack of wisdom, decided to swap the microphone and sleeve so commonly available high quality headsets wouldn't work on an iPhone and you'd have to use Apple's poor quality unit instead. Headsets compatible with an iPhone will not work with the ZTE Blade or many other handsets, do check before buying. The headset supplied has the most awfully quiet earbuds ever. Replace it with a proper in-ear set as soon as possible if your phone is to be an MP3 player. As a phone, the ZTE Blade here is branded "Orange San Francisco" and is a pretty average entry level Android, nothing at all remarkable. It's when you install one of the many third party firmwares, such as CyanogenMod 7, when the Blade comes alive. For a phone of this price, the 800x480 capacitive touchscreen, fronted by real glass, is far and away superior to its competition, almost all using low resolution 320x240 or 480x320 screens. The 267 pixels-per-inch puts it almost in "retina display" class. With CyanogenMod7, the UI is fast and snappy as the CPU governor slams the CPU to full on wake from sleep, a common problem with Android devices is UI lag as the CPU doesn't clock up to full immediately but over the course of several seconds. None of that with CyanogenMod7. Community support is exceptional, only perhaps the HTC HD2 (HTC Leo) has such a vast and diverse array of offerings. In general use, the phone feels much better than its price and hardware would indicate, largely because of how fast CyanogenMod7 is. In subjective UI use, it's easily as fast as a Samsung Galaxy S2. The CPU is similar to the one in the Apple iPhone 3G, though around 180 MHz faster. The exposure is better, there's not anywhere near as much glare, but fine details are still completely lost, the image looks like it's gone through a median filter, as you'll see in the 100% crop below. Low light performance is so poor that it's not even worth trying, and the phone has no flash. Daniella will demonstrate how bad low light performance is (image has been levels-corrected). There's more noise than a football stadium on a Saturday and before the levels correction, the image looked very washed out. Colour saturation and rendering is, to a word, pathetic. 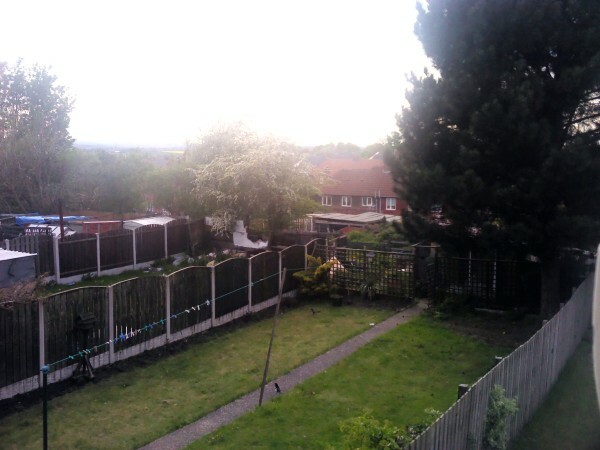 The camera isn't very good, but for a £100 phone (in 2010, that is) which can be had for around £50 on Ebay we'll forgive that. 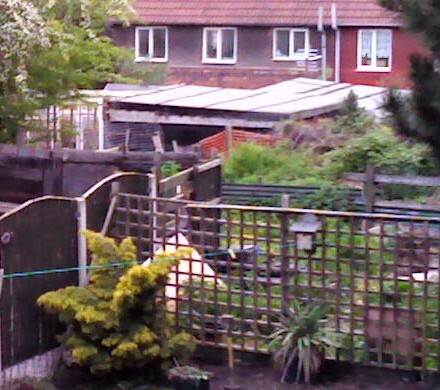 The camera is also capable of 480p video but you'll quickly wish you hadn't bothered as the image quality is truly dire. In summary, this phone has an excellent screen, wonderful community support (some nutters even have Android 4.3 Jelly Bean running on it), a responsive and accurate digitizer as well as the full suite of sensors you'd expect and is just let down by a very poor camera. Some European models had a 5.0 megapixel camera which was apparently much better. Before the Galaxy S, Android phones were a bit weird. Sure, HTC, et. al. were pushing them out, but they were low-end to mid-range things. Nobody thought "Hey, Apple's eating our lunch here, we need a high-end phone." The high end of the market has a massive profit margin. At the time, the latest and greatest from Apple was the iPhone 4, released a few days later in June 2010. How do they stack up? It was pretty close. iOS4.0 was demonstrably inferior to Android 2.3 "Gingerbread", but the iPhone4 will now run iOS 7.1 (badly, mind). Samsung didn't upgrade the Galaxy S beyond Gingerbread, but third parties released updates all the way to the most recent 4.4 "KitKat". This required a moderate amount of technical know-how. Apple saw Samsung's new devices as direct threats and began a legal campaign to try to take Samsung out of the market - Innovation wasn't going to work (Apple cultivates an image as an innovator, but has historically been quite poor at it), so litigation was the choice. The proceedings are still proceeding as of mid-2014. Much was said of Samsung's OLED display. 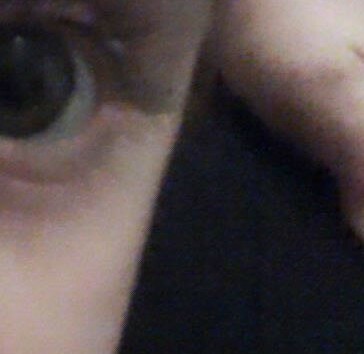 It was vibrant and black was black, without the dull glow of most other phones, but it had a blueish tint to it and colour calibration plain wasn't done. This one came to me with a broken USB port. It'd charge with difficulty, but wouldn't do data. This meant I couldn't readily hack the OS to get Android 4.2 on it since the tools used (Mostly Odin) worked over USB. "Mobile Odin" was bought, an app on the phone itself, but it failed to flash the ClockworkMod Recovery. During attempts to fix the USB port, the port was destroyed and so a great phone came to an inglorious end. This guy came in for a replacement screen or maybe some manner of other work, it's not well remembered. It's a Qualcomm MSM7227 at 600 MHz (later retroactively called "Snapdragon S1") with 384MB RAM, a 320x240, and just 160 MB of onboard storage (in a world where 1 GB was considered the low end). It was very, very low-end. Tellingly, it was around the same time as the ZTE Blade, cost more, the specs were lower and nobody seemed to care much about it. The MSM7227 was ARMv6 (and an ARM11 core) so was really quite slow, while the Adreno 200 GPU was old by the standards of the day, but Qualcomm had yet to do much GPU development and this was relatively unchanged from the Imageon they'd bought from AMD. Samsung, like anyone else using the MSM7227, dropped support for it after Gingerbread (Android 2.3) as the GPU drivers had not been updated by Qualcomm to support Android 4.0, nor were they ever going to be. CyanogenMod hackers got the older GPU drivers somewhat working, enabling Androids 4.0, 4.1 and 4.2 to work. Slowly. The PCB shot shows us clearly the components. The MSM7227 is mounted atop the 384 MB RAM. Just above it is the Samsung storage chip. Swinging to the right shows us a Samsung 77554-12 RF amplifier, beneath that is the Qualcomm RTR6285 GSM radio (eight UMTS bands, four EGPRS/EDGE bands) and GPS receiver, first announced in 2006. Immediately below the MSM7227 is the Maxim 8899G power management IC. 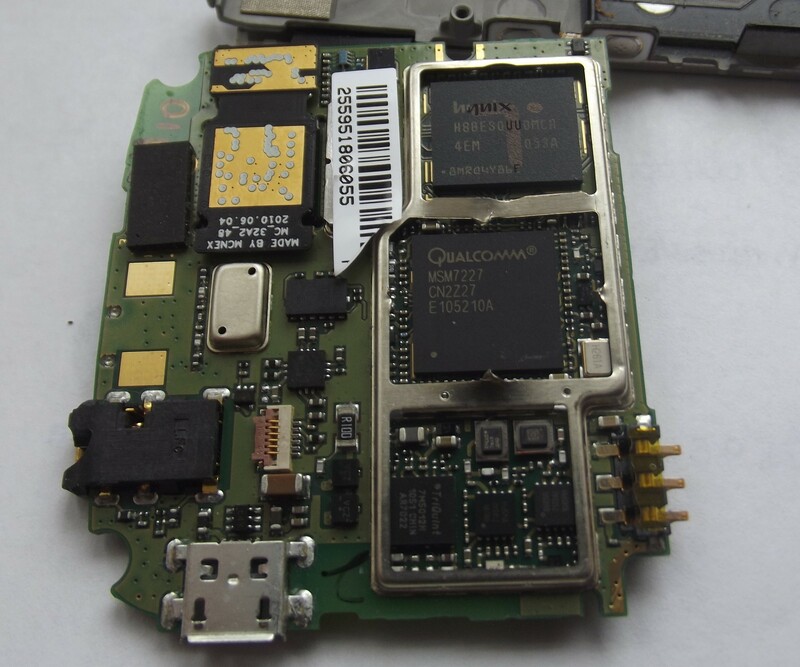 Above the micro-SD slot, to the left of the storage IC, is an Atheros 6003G WiFi (802.11n, 2.4 and 5 bands), next to a Broadcom BCM20780C, part of the BCM207 range of Bluetooth 4.0+EDR transceivers. Manufactured by Gigabyte (yes, the Gigabyte most commonly known as a tier-1 PC motherboard maker and video card vendor) for Intel, and sold in India as the Xolo X900 and in Europe by Orange (now EE) as the San Diego. A Russian release was the Megafon Mint. It's based around Intel's "Medfield" Atom Z2460 at 1.6 GHz and has pretty much everything a top of the line flagship smartphone of 2012 would need. It was, however, released with Android 2.3.7 (Gingerbread) and only Xolo released the Android 4.0 (Ice Cream Sandwich) update which Intel made available. Orange did later release 4.0.4, but only after ruining it with their hideous theme and built in apps. Notably, it has 1 GB RAM, double the standard for the day, 16 GB flash storage (again double), a high density 1024x600 4" display, micro HDMI port, NFC, 8 megapixel rear and 1.3 megapixel front cameras. Intel seemed to be heavily subsidising it, as it was available for £120 off-contract! A lot of enthusiasm built up around the device as it was powerful, cheap, sported average in-class battery life (long a bugbear of mobile x86) and excellent performance. This enthusiasm was soon to evaporate. 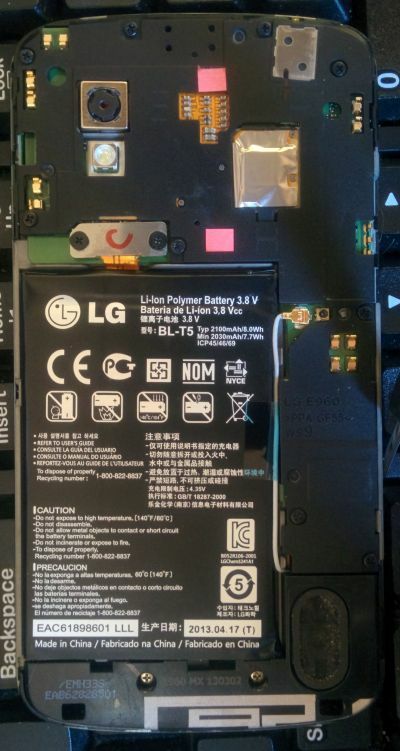 A micro-SD slot is disabled in software and the bootloader is hard-locked. Installing custom ROMs or modifying system boot settings is impossible. 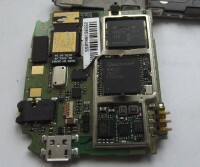 Determined hackers have managed to enable the micro-SD slot, and speculation was that due to how the internal storage is partitioned, Gingerbread couldn't use it and an SD at the same time. While this may be true, Android 4.0 could, but the slot remained disabled. As vendor updates were released (only a small few), the methods that enthusiasts used to gain root access and enable the disabled features were removed. 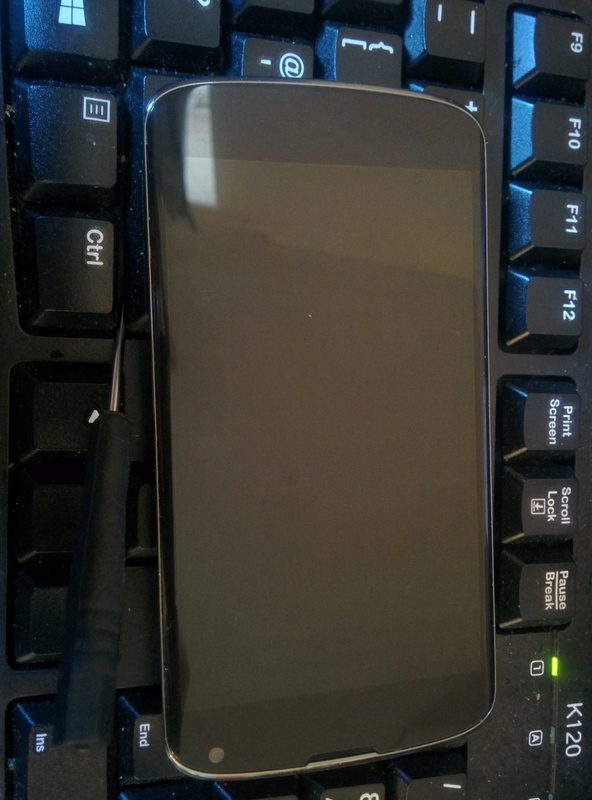 Fully updated, it is impossible to root or otherwise modify the device. The Android x86 developer community, which had been greatly anticipating this device, sighed sadly and went back to ARM. Intel refused to unlock the bootloader, and did not provide a reason. The Motorola RAZR I and ZTE Grand X were also Medfield devices and have unlockable bootloaders. It could, however, be that the AZ210 was an Intel device and just mildly customised for different markets, while Motorola and ZTE could do whatever they want with their own devices. Generally the Nexus devices were in some way slightly inferior. The Galaxy Nexus couldn't record 720p video, for example. Nexus devices also do not have micro-SD storage. Initially, the Nexus 4 appeared to be uncrippled. It was of premium construction, a beautiful glass back with a "holographic" chatoyance effect, but had LTE (4G) disabled, since the chipset used was a very early LTE chipset and didn't support many bands. It sold about 375,000 (per serial numbers) and was a customised version of the same platform which the LG Optimus G also was (LG would later refer to the Optimus G as the "G1"). The Nexus 4 was, however, deliberately hobbled. Qualcomm bins its chips according to their quality, higher quality chips will run at higher frequencies and lower voltages, so will use less power. This is known as "processor voltage scaling", or PVS. 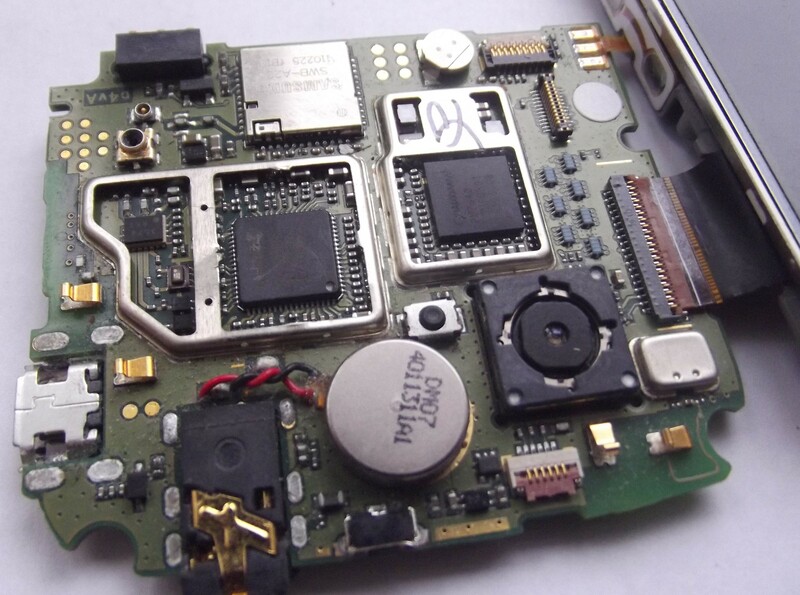 Optimus G used expensive PVS3, PVS4 and PVS5 parts. 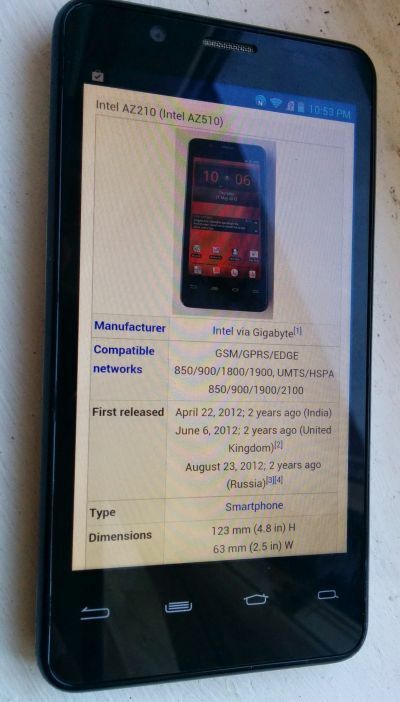 Most Nexus 4s were PVS0, 1 or the rare 2. The higher the number, the better. Nexus 4 also used a poor (cheap) camera, while it was 8 megapixels, it had a tiny sensor, poor lens and delivered substandard results. The metal internal chassis of the phone was deliberately air-gapped away from the processor, so couldn't work as a heatsink, meaning the processor would overheat sooner and throttle back, reducing performance. Google said it was to control skin temperature, but I didn't notice much trouble once a piece of copper foil closed the gap (this is the same on most modern handsets, again for skin temperature reasons). None of this mattered. Google cut corners where corners can be cut, the PVS scaling troubled only overclockers and would cost a typical user just 10 minutes of battery life per day. The camera was disappointing, but in good lighting it was as good as anyone else's. On launch, the Nexus 4 sold out in 15 minutes as it hit UK shores at £239 for the 8 GB and £279 for the 16 GB model. A comparable phone such as the Galaxy S3 was around double that. Indeed, the Samsung Galaxy S4 was little better than an uprated Nexus 4. 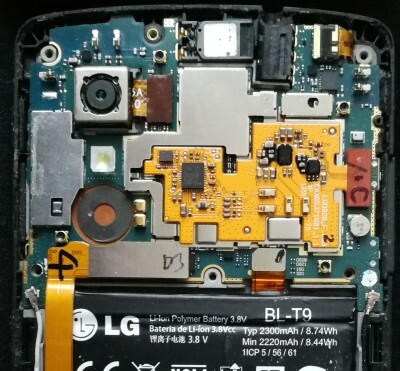 The Nexus 4 was a version of LG's Optimus G, and the Nexus 5 was a version of the Optimus G2 (the "Optimus" was sometimes referred to, but usually dropped) or just G2. It sported an absolutely beautiful 1920x1080 display, a much improved camera, indeed one of the best cameras used in a smartphone on release, it had a powerfully rated speaker (but only one), ran the top of the line Qualcomm Snapdragon 800, 2GB of LPDDR3-1600 memory, 16 or 32 GB storage and was just £300 for the 16 GB version. 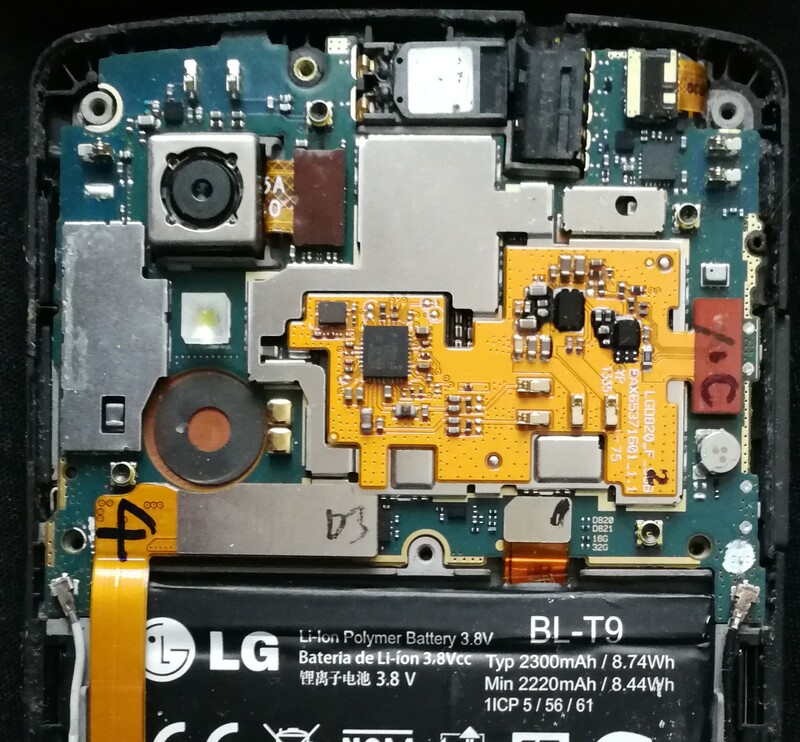 The camera had problems to begin with, yet the LG G2, which used the exact same optics and only upgraded the sensor to the 13 Mpx version of the same series, was applauded for an excellent camera! It had a high-end DSLR feature known as optical image stabilisation (OIS): It used magnets to move the imaging elements around to compensate for slight jitters of the hand holding the camera. Google implemented the controlling software very poorly. OIS means that blurring due to motion is eliminated, so any blurring has to be caused by focus - before this, smartphones couldn't properly focus if they were in motion and many algorithms were developed to compensate for motion blur. Google dumped these and left autofocus continually on, focus would never lock (unless manually set) and would attempt to compensate any blur, meaning rapid motion would knock the camera out of focus. This meant that if the camera did lose focus, it would then do a full sweep to gain focus, which could be slow. On initialisation, it would also do a full sweep to find focus, where software-assisted non-OIS cameras could work out how to move the lens much faster. The camera could also do longer exposures, since it wouldn't blur out due to small jitters, so help low light performance. Google didn't do this. Poor software effectively crippled the best camera in any smartphone. Google realised the deficiencies and released quick-fire Android updates to rectify the issue: The camera was one of the Nexus 5's flagship features, but updating the camera's driver meant updating system components, needing a full firmware update. 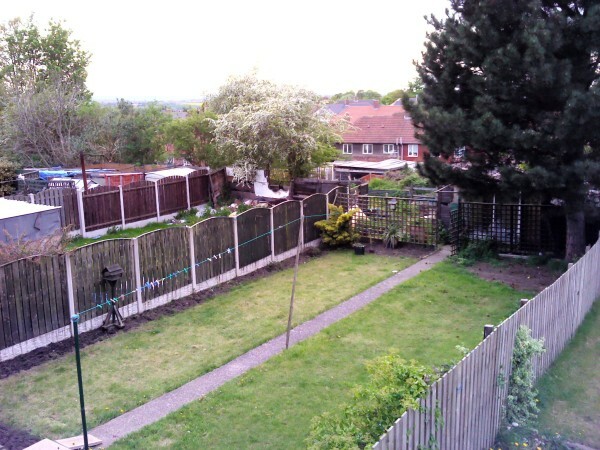 Google had implemented a very powerful computational photography mode, its "HDR+". It takes a fast burst of images across an exposure sweep, then extracts the best parts of each one to both provide a much larger dynamic range and much clearer images. Noisy areas can be "patched over" with clearer areas from one of the other images, using the Qualcomm Hexagon DSP to accelerate the process. Google was at least three generations ahead of everyone else with the Nexus 5's HDR+ mode and only continued to iterate on this success with the later Nexus and Pixel devices.